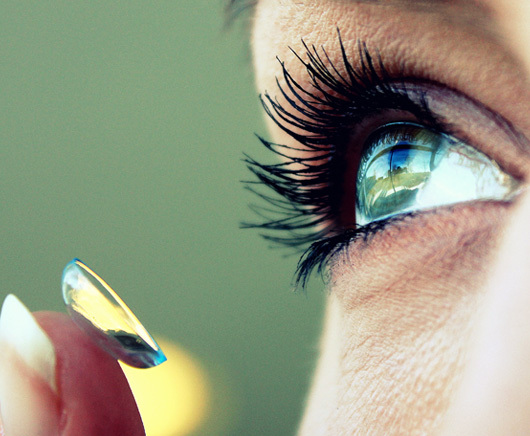 CORE’s clinical and biomaterials expertise connects the dots between the day-to-day wearing experience, clinical signs and the characteristics of lens materials and care systems. the adherence of cosmetics to contact lens materials. Dantam J, Subbaraman L, Jones L. Adhesion of emerging pathogens to contact lenses under the influence of an artificial tear solution. Invest Ophthalmol Vis Sci 2017;E-Abstract 3079. Heynen M, Babaei Omali N, Fadli Z, Coles-Brennan C, Subbaraman LN, Jones L. Selectivity and localization of lysozyme uptake in contemporary hydrogel contact lens materials. J Biomater Sci, Polym Ed 2017;28(13): 1351-64. Luensmann D, Yu M, Yang J, Srinivasan S, Jones L. Impact of cosmetics on the physical dimension and optical performance of silicone hydrogel contact lenses. Eye Contact Lens 2015;41(4): 218-27. McCanna D, Bidar M, Subbaraman L, Jones L. The effect of artificial tear solution and organic load on the efficacy of contact lens disinfectant solutions. Invest Ophthalmol Vis Sci 2017;E-Abstract 3075. Schulze M, Wong A, Haider S, Ebare K, Fadli Z, Coles-Brennan C, Jones L. Blink rate in silicone hydrogel contact lens wearers during digital device use. Optom Vis Sci 2016;93: E-abstract 165122. Stahl U, Keir NJ, Landers A, Jones LW. Effect of short recovery periods on ocular comfort during daily lens wear. Optom Vis Sci 2016;93(8): 861-71. Subbaraman L, Hwang Y, Liu L, McCanna D, Jones L. Metabolic activity of human corneal epithelial cells after exposure to artificial tear-like formulations with varying pH and osmolalities. Invest Ophthalmol Vis Sci 2017. Walther H, Subbaraman L, Jones LW. In vitro cholesterol deposition on daily disposable contact lens materials. Optom Vis Sci 2016;93(1): 36-41.